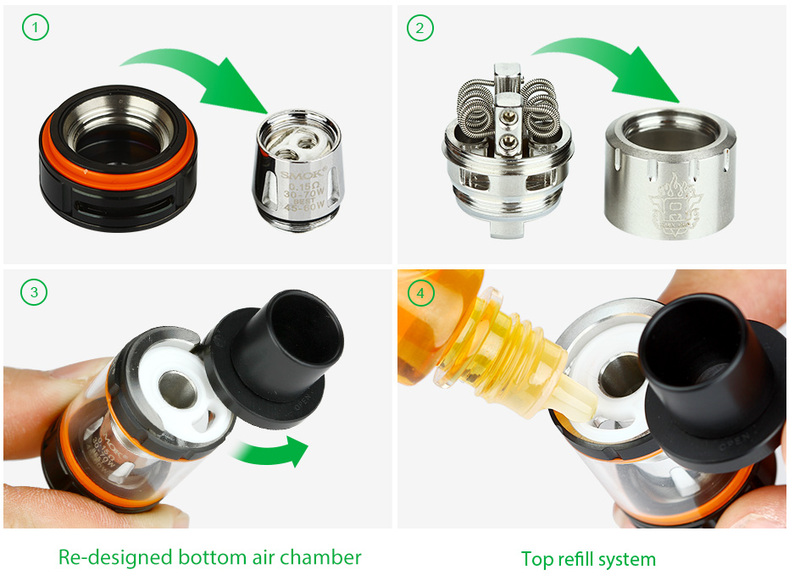 TFV8 Big Baby, an enlarged version based on TFV8 Baby Beast and adopts new V8 Baby-X4 quadruple core, V8 Baby-T6 sextuple core and V8 Baby RBA. 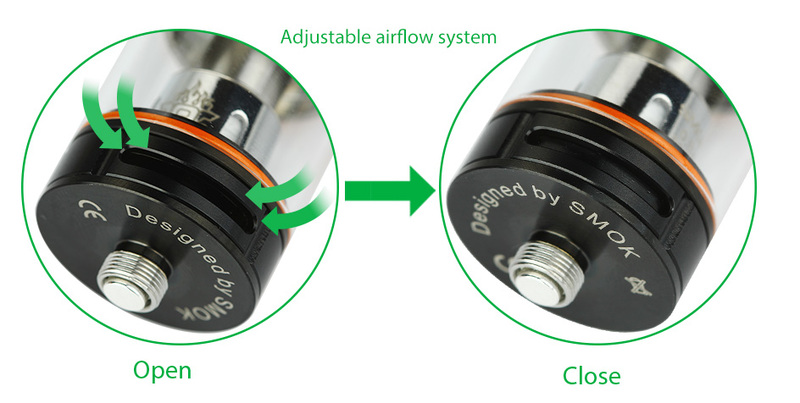 And its airflow system is re-designed after precise calculations and optimizations. 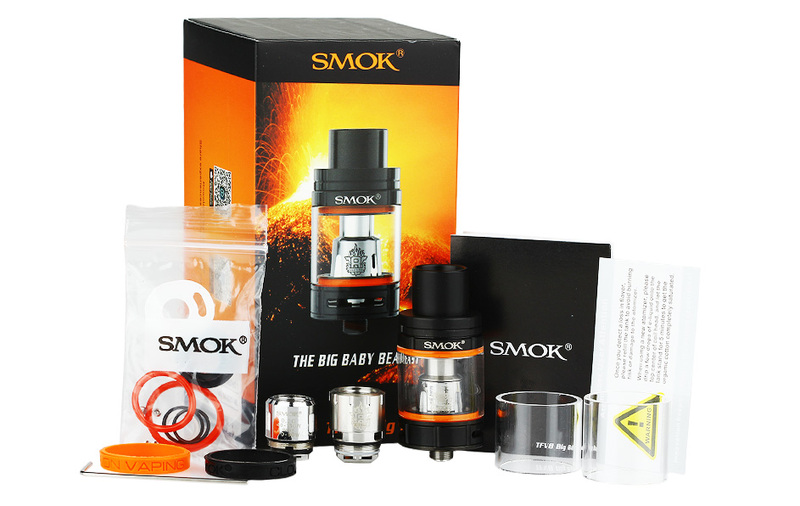 With both powerful coils and 5ml e-juice capacity, the SMOK TFV8 Big Baby will let you enjoy more clouds, longer vaping time and more fun. Black, Gold and Gun Metal color. 1. 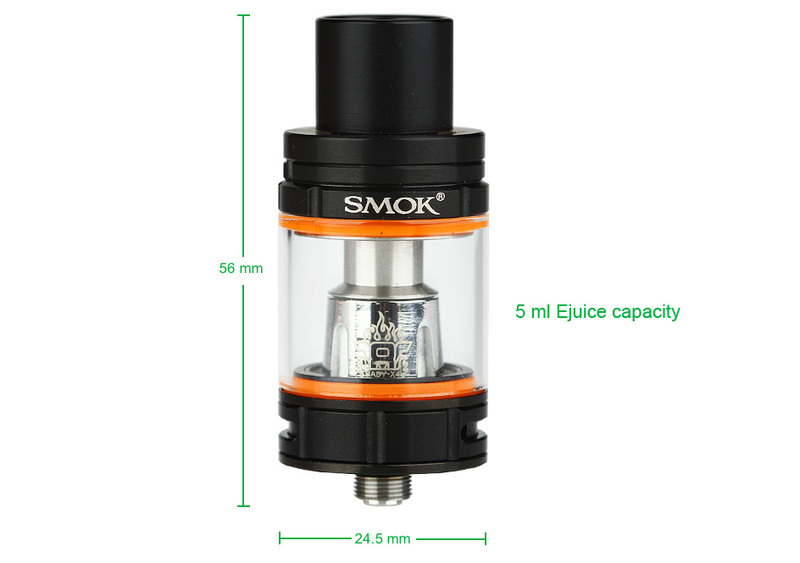 Hold the tank with one hand, and use another one to press top cap and move it clockwise. 3. Close the cap carefully and firmly. Then let it stands for several minutes to get the organic cotton completely saturated. 3. Installing and positioning the pre-wrapped coil. Place the coil between the posts and wrap the ends around the screws and tighten up, once all in place make sure the coil is fixed in the center and lined up with the air hole, and also make sure the coil is NOT touching the base.